During the recent Daikin UKD1 Partner Conference which was held prior to the EU referendum, representatives from over 150 HVAC contractors provided their views on the effects of Britain leaving the EU and what it would mean for the industry. A live poll found that over 60% of contractors would be worried about Brexit and the effects it would have on their businesses, with 18% stating that it would make no discernable difference. The assembled contractors also answered questions concerning issues impacting the air-conditioning industry, including; barriers to growth in sales, investment in training, the use of cloud-based systems and changes to industry legislation. 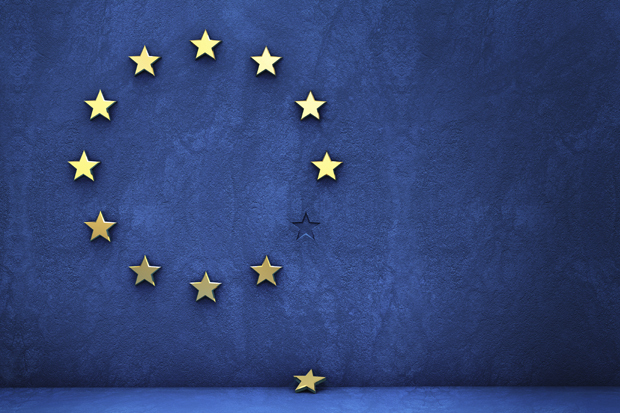 So what does Brexit mean for HVAC contractors and distributors? Well there are some positives and negatives. For instance, the European Union placed restrictions on the use of certain HFC refrigerants in certain applications (for climate control reasons). The implications of the EU legislation were that, over the coming years, the supply of all HFC’s including R410a would be reduced and alternative refrigerants with a lower GWP, such as R32, were being distributed instead. This was sought to be the more environmentally friendly option when considering climate control. The good news – as a result of many distributors being told that this was going to happen (before brexit), there was an overall concern to become ‘greener’. The bad news – this is EU legislation, meaning the R32 systems were only in place to be distributed for EU members. Whether the British government had a similar plan in place or they will be distributed before we negotiate our way out of europe remains to be seen, but its introduction would go some way in to ensuring the industry in Britain is continuing to ‘do its part’. As well as this, the respondents also felt that economic uncertainty (34.6%) provided one of the biggest barriers to growth if the UK left the EU. As a result of this economic uncertainty, companies are encouraged to have a strategy in place IF another recession (or period of financial difficulty) comes along. So what is this strategy? And how do you make sure you can stay competitive, despite the uncertainty moving forward? In taking these things into consideration, it is hoped that distributors of HVAC appliances will ensure the stability of the sector, meaning they can still compete reasonably well in a cautious marketplace. It is also important to have a good marketing strategy in place too. Making sure you know what competitors are doing, keeping one eye on the market at all times, developing strategies for self promotion, identifying strengths and weaknesses and ensuring your finances are in order will ensure (at the very least) you can compete, in what may be an uncertain couple of years. This may all sound obvious, but a lot of companies take the industry for granted when they are selling products. When we don’t know what’s going to happen moving forward, we don’t know if these products will continue to sell, or if it’s something that our customers will budget for. Air on the side of caution!